Want to do something different from the theme parks? 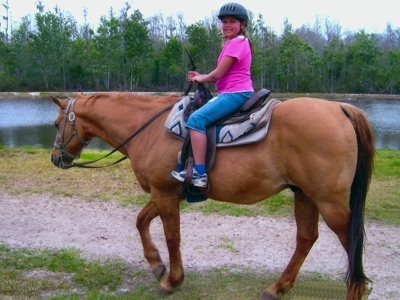 Only about 25 miles from the Orlando area, you can get away from the crowds and get back to the basics at Horse World Riding Stables. Here, you can explore hundreds of acres of the beauty of nature on horseback and see the beautiful Florida countryside. No matter what your level of riding experience is, they will match you up with a horse that is suitable for you. You can enjoy 3 levels of riding tours: beginner, intermediate, or expert. And, you can ride as young as 4 years old. Of course, the tours are geared towards your level of expertise, so you don’t have to worry about doing a lot of running if you’re a beginner, but if you are experienced, you will get to trot and canter much more. The tours run about an hour and reservations are recommended. These beautiful sandy trails are only used for the tours, so it’s like getting your own private tour through the country. 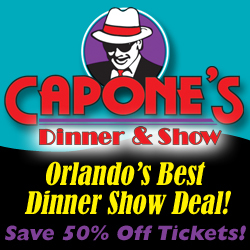 Experience the way Florida used to be – away from the hustle and bustle of the city! And, you may even see some native wildlife in their natural habitat. For more information about Horse World Riding Stables, visit their website, or type in ‘Horse World Riding Stables’ in our search (top right) to read more articles about this attraction. Feel free to leave a response below about your visit to Horse World Riding Stables and share your tips and experience!